Of the three primary sources of energy – protein, fat and carbohydrates – carbs are the preferred fuel source for physical activity. However, your body burns both fat and carbohydrates throughout the day, during activity and rest. If carbohydrate stores are depleted, the demand for energy to fuel everyday activities and exercise forces your body to use other fuel sources. When you consume carbohydrates, your body breaks them down into a single sugar called glucose, which enters the bloodstream and travels to muscles and organs that use the glucose for energy. Energy not needed for immediate needs is then stored in your liver and skeletal muscles as glycogen. Because glycogen storage is limited, glucose in excess of your storage capacity gets packaged in triglycerides and stored as fat. Both glycogen stores and fat stores are accessible as energy sources for later. Between meals, your body taps into carbohydrates and fat stores for energy. Hormones tell your body when to release triglycerides for use as fuel. 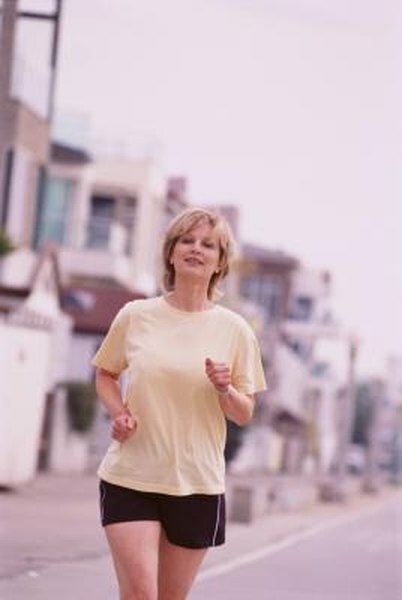 However, circulating blood glucose, when available, is a ready source of energy both during rest and physical activity. If you use up available blood glucose, carbohydrates stored as glycogen in the liver are released in order to raise blood glucose levels to meet energy demands. However, glycogen stored in a particular muscle is only available as energy to that muscle. Your body typically uses protein for fuel as a last resort. During exercise, as during rest, a combination of fat and carbohydrates generally provide the necessary fuel. The intensity and duration of your exercise sessions affect the percentage of energy used from carbohydrates and fat. At moderate intensity, each provides roughly 50 percent of the calories burned, according to the Colorado State University Extension. However, when you work out at 75 percent to 80 percent of your maximum heart rate, roughly 65 percent of the energy used comes from carbohydrates. The higher the intensity, the more reliant on glycogen stores your body becomes. If you deplete glycogen stores during a workout, fat is the next preferred source, but your performance may suffer. A low-carbohydrate diet can cause your body to rely more heavily on fat and protein for fuel. Following a low-carbohydrate diet affects the amount of circulating blood glucose available for energy, as well as limits your capacity to store glycogen. Your body then begins to metabolize a higher percentage of fat, but also diverts protein from its role in muscle building and maintenance. Instead, your body begins to break protein down in order to produce glucose. The production of ketone bodies also increases in order to supply energy to organs and cells that are unable to metabolize fats.